We all have favourite spots in a city. A secluded corner, a reading bench, a vista. It’s a place which we flock to like a bee to the nectar. We don’t think why, we just go there to get nourished. 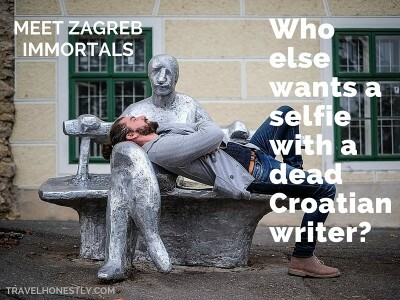 Rokov perivoj is my Zagreb nectar. It’s a serene uphill meadow, hidden behind the bustling British square. You can’t see it from down below, you have to know it’s there. But Rokov perivoj is much more than a meadow or a park. It’s a unique architectural achievement that combines early 20th century villas and protected natural beauty. And that’s not all. 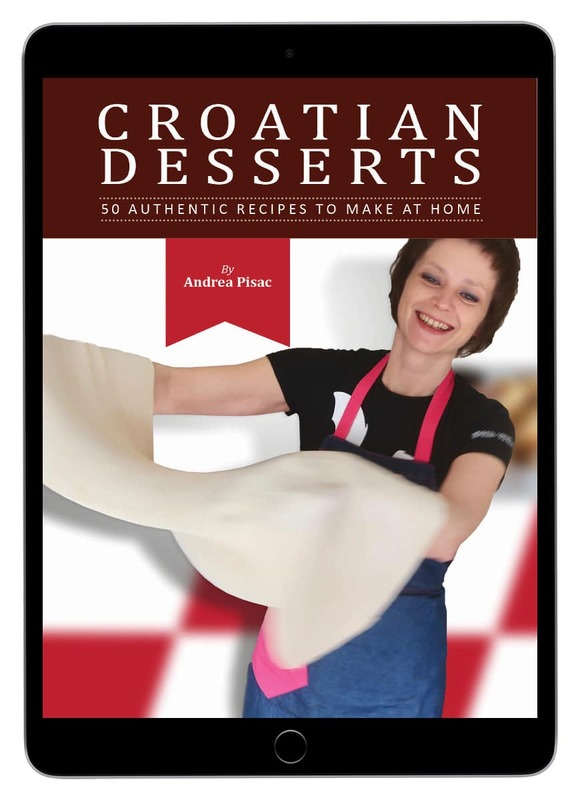 It also tells a story of how Zagreb transformed from a provincial town into a modernist Central-European capital. I fell in love with Rokov perivoj before knowing its complex history. One day a friend took me there to have a quiet conversation. Ever since then, I’ve been coming back in search of peace and quiet, inspiration or a good stroll. Then much later I found out my favourite spot is a former cemetery. Is that what gives Rokov perivoj its poetic melancholy charm? Maybe. I only know that my love grows stronger. The way we cherish a close person for all their quirks. 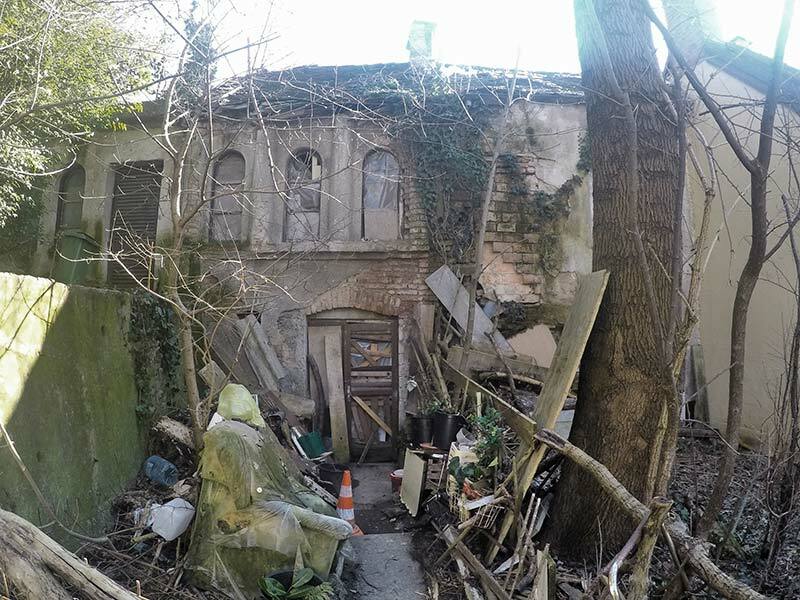 Today, the most somber spot of Rokov perivoj is the decrepit house that was once home of the sculptor Vojin Bakic. Seeing it will make you weep. Its old glory shines through crumbling walls, broken windows and piles of rubbish in the courtyard. Zagreb city council planned to refurbish it into a memorial centre. But legal quarrels over its ownership put a stop to the project. It’s hard to imagine that a place of such Arcadian serenity nestles up the hill from the busy Britanac. 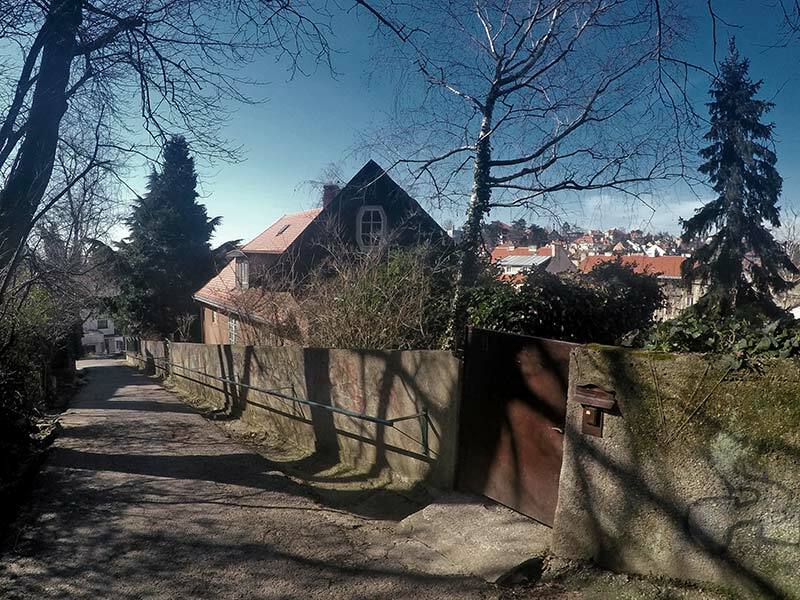 You’ll find it if you walk around the corner from the post office and continue up the very steep and winding Rokova street. Two centuries ago, this was the route a horse-drawn hearse took on the way to the cemetery. And in winter time, when the street was slippery, horses gave up half-way up and people took over carrying a coffin. When you reach the clearing, you’ll see St. Rocco’s chapel to your right. It was built in 1648, after a disastrous plague had killed all but those walled up inside the city. The chapel was an act of gratitude for sparing (the wealthy) citizens of Gradec. 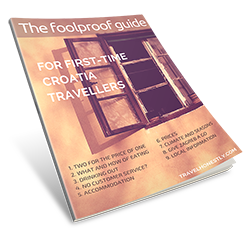 (At that time Zagreb consisted of the secular town Gradec and the church town Kaptol). Shortly afterwards, the burials around the chapel began. Even the Jewish community had a burial lot. This made Rokov perivoj the first Jewish cemetery in Zagreb. During that time Rokov perivoj was an uncultivated outskirts of Gradec where peasants farmed land and kept kettle. No houses existed, apart from the undertaker’s residency (Rokova 15) and the morgue (Rokova 10, Vojin Bakić’s house). 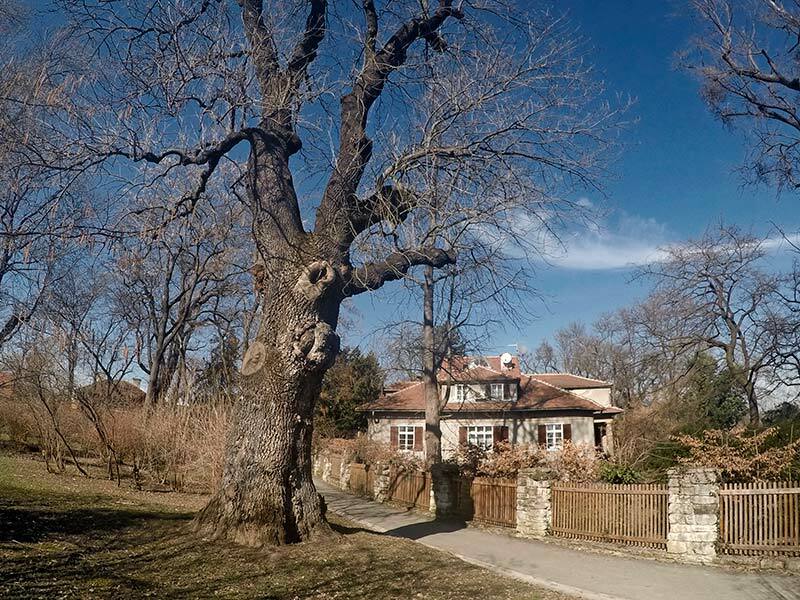 At the turn of the 20th century, however, it was where the first urban villas popped up, turning Rokov perivoj into the Zagreb ‘cottage neighbourhood’. Two events preceded this radical transformation. First, the cemetery closed down in 1877 (after Mirogoj became the city’s main burial ground). And second, industrialism created a rich bourgeois class looking to build urban villas. Under the artistic influences of modernism, green spaces would get cultivated. And for the first time associated with prestige rather than with peasantry. In 1909, acclaimed Croatian architect Viktor Kovačić designed a blueprint that transformed the cemetery into a residential area. Kovačić’s vision consisted of three elements. Designing urban villas, landscaping the park and connecting Rokov perivoj to Dežmanova and Ilica streets with staircases. His goal was to preserve the greenery and juxtapose it with the urban architecture. The area of urban villas begin after you pass St. Rocco’s chapel. 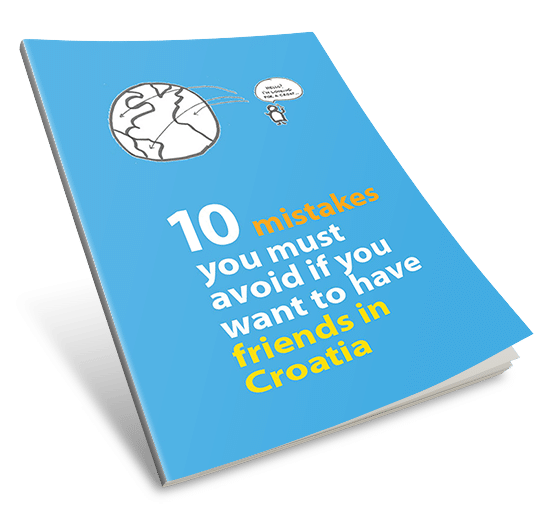 They were part of the original Kovačić’s plan, though several other architects (Hugo Erlich and Milan Lenuci) later joined the project. Local authorities gave the land to established artists. In return, they would donate their work to the city. These artists changed Rokov perivoj’s somber provincial character into that of a vibrant social hub. The houses still bear their names. The centrepiece of Rokov perivoj is the so called Frangeš well. It’s a sculpture of a young naked woman reclining over a well with motifs from Dante’s Divine Comedy. When Frangeš revealed the naked Elegy in 1912, the city authorities refused to exhibit it. It took 82 years for the Elegy to assume its rightful place. 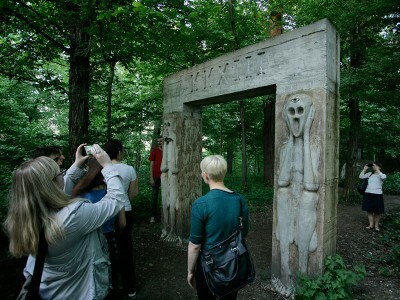 And it only happened when Frangeš’s heir donated the sculptor’s collection to the city under this condition. The old beauty is here now, so admire it! 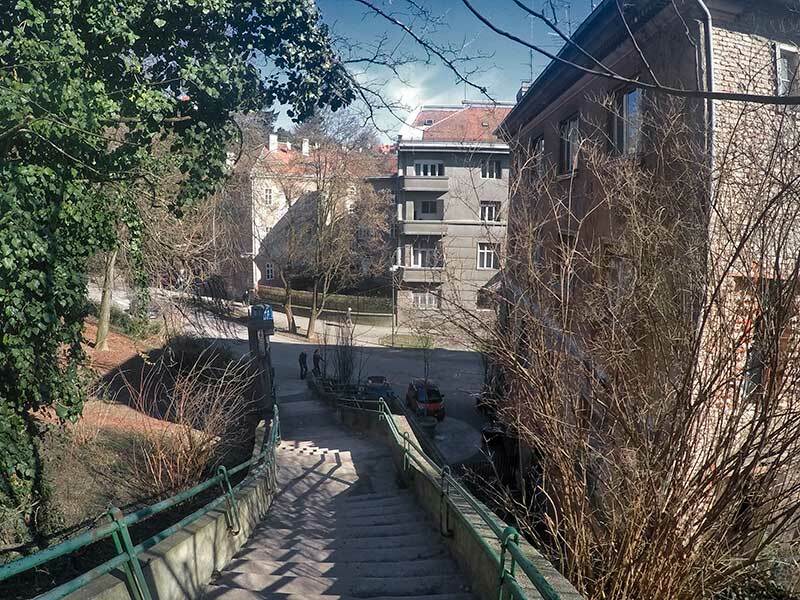 At the end of the green space of Rokov perivoj there is a staircase leading down to Dežmanova street. 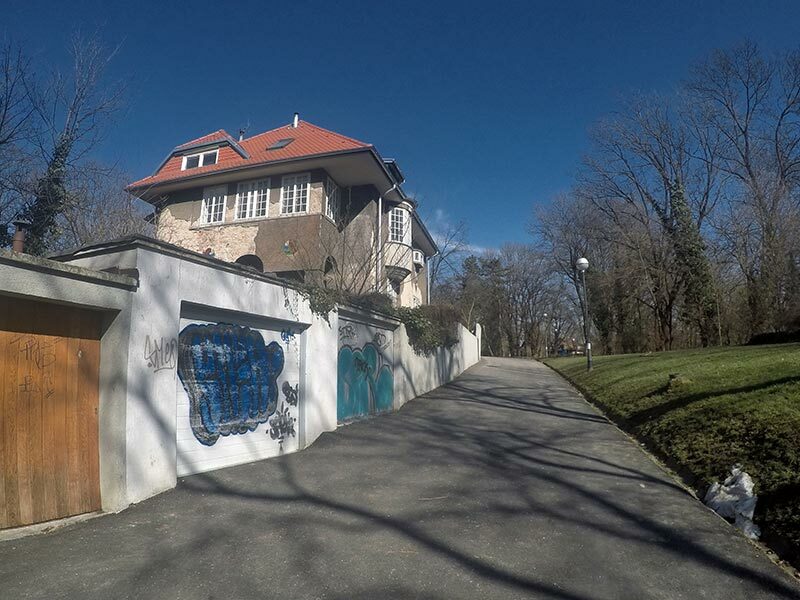 Although Kovačić planned to connect this affluent area with the rest of the city, Aleksandar staircase came along only in 1935. It’s a unique work of architecture that organically blends with surrounding nature. 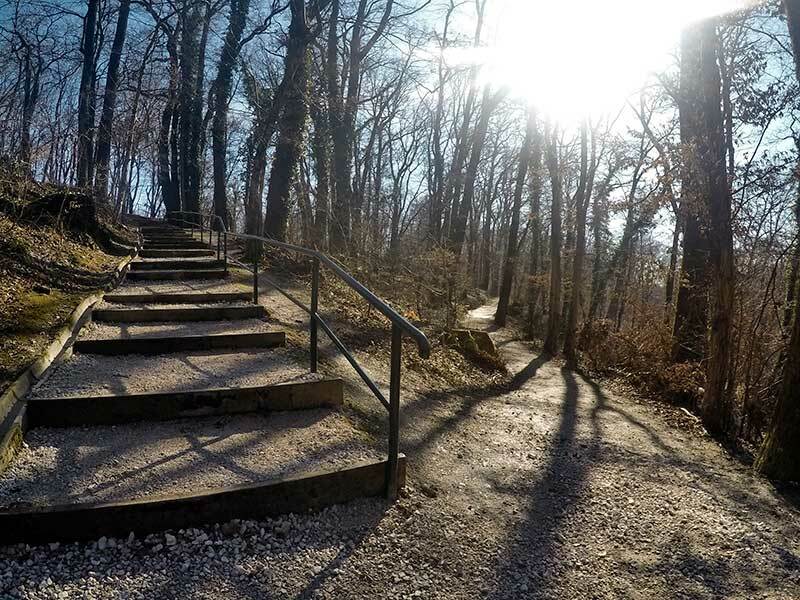 Aleksandar staircase leads to the beginning of Tuškanac forest. 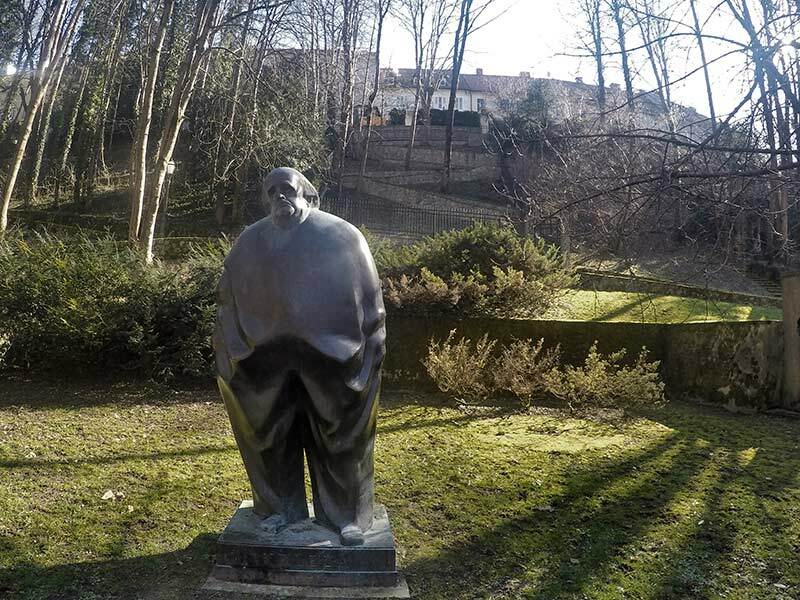 Following the trail uphill takes you to the statue of the famous Croatian writer Miroslav Krleža. It was erected in 2004 to mark the 30th anniversary of his death. The writer and his actress wife Bela lived in the villa Rein up the hill on the left-hand side (Krležin Gvozd 23). 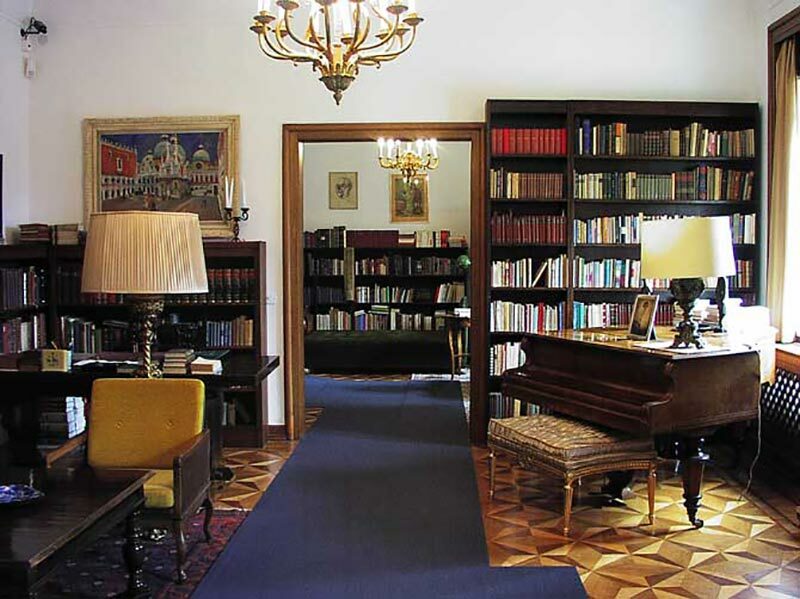 When they moved there in 1952, the poetic residency became a cultural salon to famous artists, writers and politicians. Today it’s a memorial centre, open on Tuesdays from 11.00 to 17.00. Villa Rein was commissioned by the banker Adolf Rein in 1928. It is one of the finest examples of rich urban houses from the period between the two world wars. 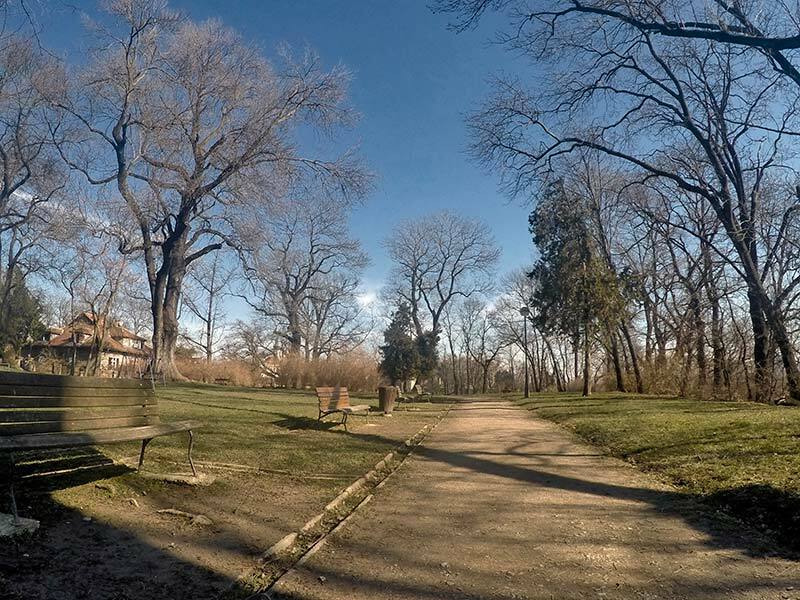 The walk takes you up and through Krležin Gvozd streetuntil you reach Tuškanac park. Beautiful houses along the way are home to many foreign embassies. This is one of the most beautiful green spaces in Zagreb. It’s still quite wild and surprisingly empty. Even though there are benches around, you will rarely see people making use of this peaceful setting. A random jogger or a dog walker might be the only people you’ll meet. 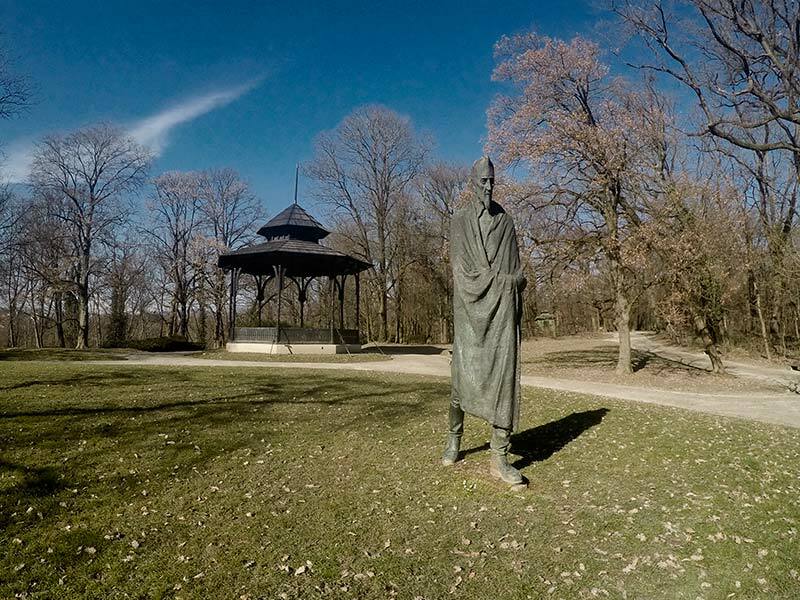 The park is also known as Vladimir Nazor park, after another famous Croatian writer whose statue dominates the entrance. Nazor’s statue is work of sculptor Stjepan Gračan. It was revealed in 1972 to celebrate the 30th anniversary of Nazor joining the Partisans. The statue is 3,5 metres high, portraying Nazor in an elongated expressionist style. Monumental and slightly somber, it blends in with the environment by rising directly from the lawn. The stunning wooden pavilion behind Nazor’s statue was constructed in 1891. An octagonal oak construction in the style of late romanticism is a delightful example of garden architecture. 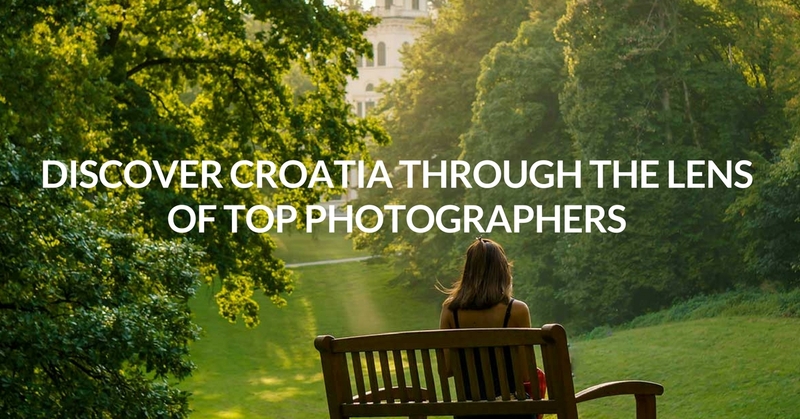 After this rich lesson in Croatian art history, it’s time to clear your head and just walk. Forget mental information and sink deep into your bodily sensations. 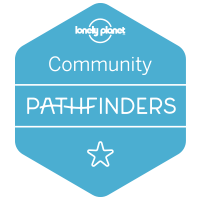 The walk takes your through trodden paths until the end of the park and then meanders off. There is nothing but nature until you reach Zelengaj street. This is your way back to the British square through another affluent and green area. Treat yourself to a nice cup of coffee at one of two excellent cafes at the square: Kava tava or Mali kafe. 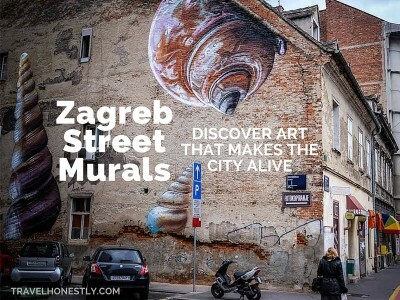 By then, you will know more about Zagreb artsy hills than an average local! 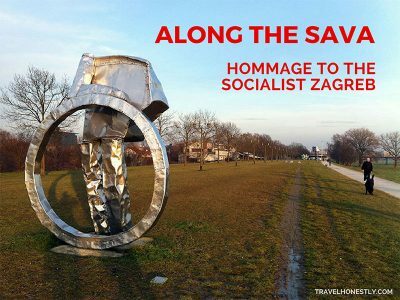 Did you enjoy uncovering the non-touristy Zagreb? 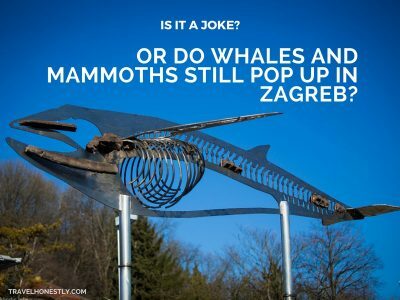 If so, then check out plenty of other unique things to do in Zagreb. Use my ultimate guide.